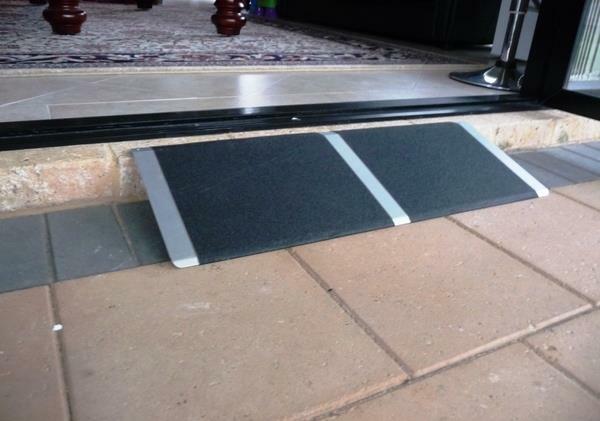 A one piece aluminium non slip threshold ramp for small steps or doorframes. The ramp is suitable to carry with you and can be installed simply by placing it down when required. The ramp has predrilled holes also so that it can be installed permanently and securly. The ramps are manufactured from one piece of high grade aluminium .